So you have an audition. You cannot FOR THE LIFE OF YOU get this stupid tune/solo into your head. I always have to learn tons of new music for gigs, recordings, rehearsals and so on, and I use each of these opportunities to experiment with different learning strategies. 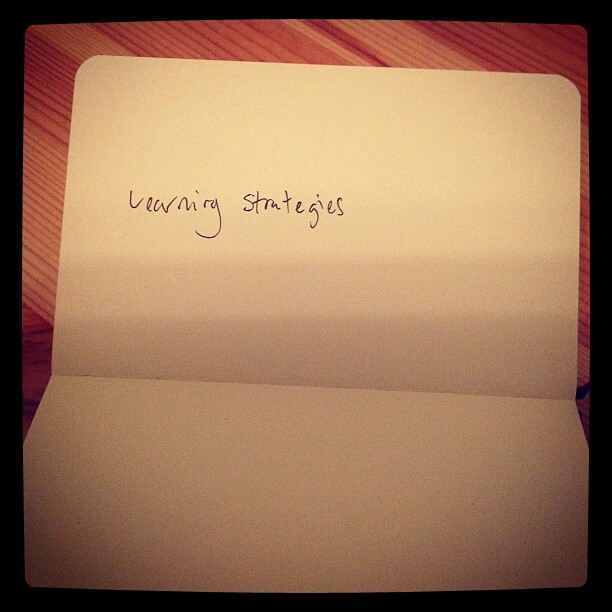 Here are some of the most effective learning strategies I use all the time that might be useful for you. If you’re struggling with something – maybe you’re trying to learn a new tune, or a transcription and it’s just not going in, this stuff can help. For example, you’ve got a 7 page monster of a tune to learn. Some bits are quite difficult; some bits are simple. Where you can run into trouble is if there’s a hard bit at the beginning and you spend ages messing with fingerings and so on. Focussing on the easy bits enables you to make a lot of headway quickly. You’ll get more done and get more energy to push through to finish it. Usually, there are repetitions within a song. Say you’ve got a 32 bar standard AABA piece. Look for similarities within the big sections. Looking for things like that means that you don’t divert your attention to three separate things that are the same. Don’t waste your time going over things you already know. Are there any bits you think are great? Learn those first. If you like what you’re doing you’ll have more energy to do it. This is a strategy for learning tricky phrases. Start at the end or the middle. Mix it up. There might be a part of the phrase which can only be played one way, and that will affect how the rest of the phrase is played. Starting backwards means you’ll have a better idea of where you’re going. I find I can memorise things quickly if the structure is clearly laid out on paper. For instance, if the form is built in 8 bar phrases, it helps if the notation reflects this by laying it out 4 or 8 bars to a line. You might find it quicker to see structure that way, and it helps you see bigger chunks of form. This relates to No.2. Are there similar phrases, structures, chords within the piece? Look then to the differences – How is it different? Re-writing other people’s music can make you see it more clearly. Similarly, take a piece and transform it somehow. Transposition is one device to use to reveal those interstitial spaces, and that can help you focus on the connections between larger structures. Always be trying to memorise music. Especially if you’re reading from a chart. Every chorus is a chance to internalise the music and get it off the page. Use any of the above strategies whilst you do this, too. Try to get it so after one or two times round a sequence you’ve got it memorised. The more you do this the quicker you get. So make it a habit to ALWAYS do it. Even if you just memorise the 1st two chords, that’s a start. So that’s 10 effective learning strategies that work for me. How do you go about learning a new piece?